Reduce heat loss by using a pool cover. According to the U.S. Department of Energy, savings of 50% – 70% are possible. A pool heat pump can save up to 80% in energy usage compared to a gas heater. Check with your pool professional to see if a heat pump is appropriate for your region. According to the National Swimming Pool Institute and the American Red Cross, the most healthful swimming temperature is 78 degrees. Reducing your heater or heat pump thermostat to maintain a 78 degree or lower temperature will also help conserve energy. Install a timer or a control system to automate the hours of operation. 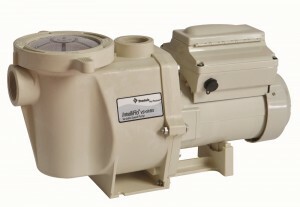 When reopening your pool, make sure your heater or heat pump is working properly. Consider having Atlantis Pools upgrade your plumbing lines from 1 1/2″ size to 2″ pipe and you will move more water in less time and your pool turnover rate will be much shorter. Shorter run times equal less energy usage. 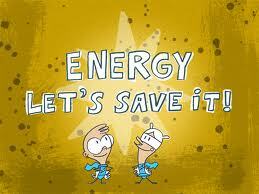 CHECK OUT MORE ENERGY SAVING IDEAS BELOW!! prisms through the raised air pockets in the Solar Blanket bubble cover material. hundreds of dollars per year in pool heating costs! Savings also come from a reduction in water evaporation and chemical evaporation. EASY AND INEXPENSIVE ALTERNATIVE TO STANDARD SOLAR POOL COVERS! Inhibits pool water heat loss 24 hours a day.Works at approximately 60% the effectiveness of a conventional plastic solar blanket, at a fraction of the cost and effort.Simply place the Solar Pill in the pool skimmer basket and enjoy warmer pool water for up to 30 days. One Solar Pill treats up to 12,000 gallons for up to 30 days. The Solar Pill will be empty after 1-2 days in the skimmer. Once empty you can remove the Solar Pill and enjoy its effects for up to 30 days.Solar pills spread an invisible film over the water’s surface, greatly reducing heat loss through evaporation. Non-toxic and biodegradable. Liquid solar cover will keep your pool warm without the need for a cumbersome blanket.